If you’re hankering for an island getaway this summer, there are plenty of hidden gems – even right here in Europe. We’ve got 10 suggestions for islands which retain plenty of their original island vibes, where you can get that ‘escape the world’ feeling, and discover for yourself their unspoilt shores and charming villages. When the residents of the tiny island of Malta need a quiet respite, they make the four-mile ferry crossing to the even smaller island of Gozo. Tourism hasn't developed at the same pace on this green island. So if you join them you'll discover local restaurants serving locally caught seafood, and fascinating historic sites, blissfully unconcerned with crowds. Need even more of an escape? Gozo is dotted with gorgeous beaches. Scramble down to San Blas Bay, a secluded orange-sand beach which is only accessible on foot. 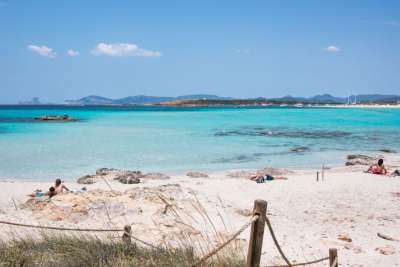 Formentera is close to Ibiza geographically, but miles apart in character. No beachfront buildings are allowed on this tiny strip of land, which leaves the white-sand beaches wonderfully unspoilt. And what beaches - they look straight out of the Caribbean with pure white sand and clear turquoise waters. The secret of "Ibiza's little sister" is out, and the shores can get busy in the height of summer. But there are always other areas like the salt plains and the coves of Ses Platgetes to explore. 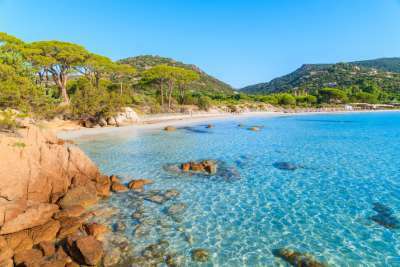 There's a mix of French and Italian influences on Corsica, but ultimately this Mediterranean island feels like no-where else. Restrictions on building on the coast mean there's less of the ritzy tourism that has developed on neighbouring Sardinia. Instead the island retains a real rustic charm, especially when you head away from the south coast. There's brilliant mountain biking and hiking in the untouched interior, and on the coast you can find small fishing villages edging on to pristine white sand beaches. Once upon a time, Lopud Island was the domain of the rich and powerful residents of Dubrovnik. Thankfully today it's open to all, but it retains an exclusive and serene feeling. There's just one town on the island, where you'll find cafes, restaurants and hotels clustered around the low-key port of Lopud. The rest of the island is given over to citrus groves and green hills. And the real highlight of Lopud is Sunj beach - a rare Croatian sandy shore, and acknowledged to be the best in the Elafiti Islands. 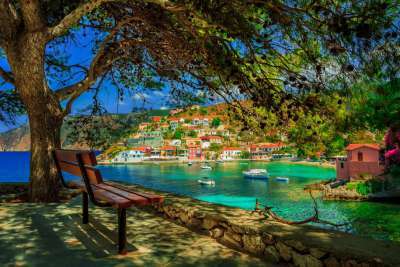 For a combination of convenience and unspoilt beauty, the Greek island of Kefalonia is hard to beat. Even after it became famous thanks to its star turn in the film Captain Corelli's Mandolin, the landscape remains the depicted idyllic Greek getaway. It helps that the island is large enough to spread out its visiting tourists. Even the biggest resorts like Skala have plenty of beach space. And if you want to adventure off into this charming island you can discover stunning shores like Koutsoupia - which is only reachable by boat or foot. 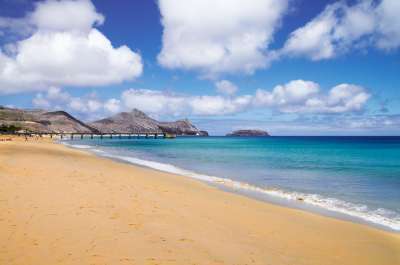 If you've not heard of Porto Santo before, don't worry - that's part of its appeal. Set out in the Atlantic, this is Madeira's little sister. But unlike Madeira, this island is blessed in the beach department. The entire south coast is one long stretch of beach. You can make your base in the whitewashed capital of Vila Baleira to enjoy the island's seafood specialities. Then spend your days strolling the beach, or exploring the volcanic inland and rugged cliffs of the northern coast. Although Naxos is the biggest of the Cyclades Islands, the lack of airport has kept the development to a minimum. 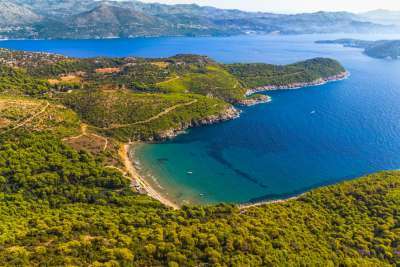 To get there you'll probably fly to Athens, or another nearer island and catch the ferry over. The journey will be worth it when you're met with the island's long beaches and rugged terrain. The west coast is more developed, with hotels set beside the golden sands. For something more secluded, venture towards the east coast, an expanse dotted with old villages, mountains and the occasional windsurfer. There are seven major Canary Islands (plus countless islets) so maybe it's time for you to discover a new favourite? 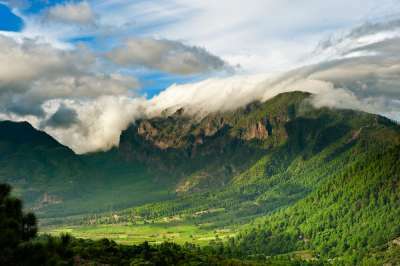 La Palma is the smallest of the islands with its own airport, which nicely marries discovering a new and remote destination with being able to get there easily! The whole island is a biosphere reserve, so there's lots of unspoilt natural surroundings to delve into. If you think a holiday isn't complete without a beach, stay beside the volcanic black sands of Los Cancajos or explore the green-tinged sands of Puerto Naos! Menorca's reputation as a quieter, family friendly holiday island is well deserved. 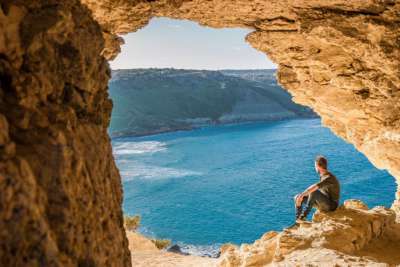 The island became a UNESCO Biosphere reserve in 1993, so compared to neighbouring Majorca and Ibiza, Menorca is the original flavour of Balearic Islands. That means sun-soaked golden shores, white-washed villages, magical sunsets and crystal clear waters. Resorts like Cala'n Blanes are great if you need easy access to facilities. 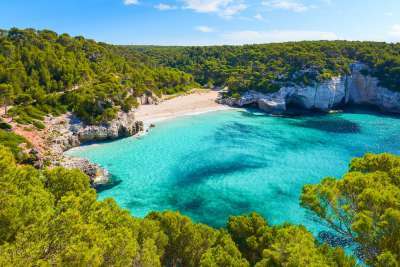 But for something more unspoilt hire a car - there are a total of 131 beaches on Menorca, so you're bound to find a hidden gem or two among them. 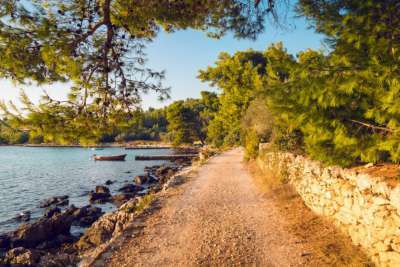 There's so much to discover on the Croatian island of Korcula. There's the medieval origins of Korčula town, to the secluded coves of the south coast, and the green pine forests, vineyards and olive groves that lie between. This island is easily reached from both Dubrovnik and Split, which makes it popular by Croatian standards - but that will still feel relaxed to most international visitors!